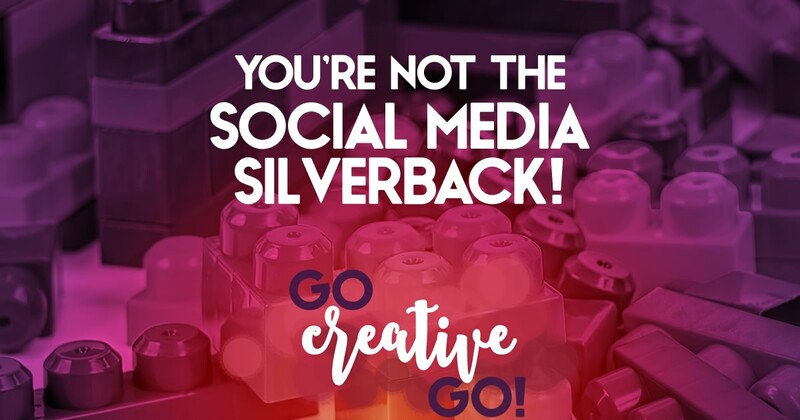 social media Archives - Go Creative Go! http://www.gocreativego.com/wp-content/uploads/2016/02/GCG-pinnable-curation-connection.jpg 1080 735 Mallie Hart http://www.gocreativego.com/wp-content/uploads/2016/07/GCG-sitelogo-new.png Mallie Hart2016-02-03 08:57:172016-08-22 13:47:44Content Curation? Creates Lasting Connections! http://www.gocreativego.com/wp-content/uploads/2016/01/GCG-pinnable-schedule-social.jpg 1080 735 Mallie Hart http://www.gocreativego.com/wp-content/uploads/2016/07/GCG-sitelogo-new.png Mallie Hart2016-01-21 07:45:332016-08-22 16:16:02Automation Again? Scheduling Can Be Social! Multi-Platform Brand Marketing CAN Maintain Focus And Energy! There’s been a lot of discussion across my peer group, of late, about what it takes to build and bolster a bangin’ brand. There’s a lot of advice being shared, some good, some bad, some stellar, some scandalous and some that’s just downright confusing. If you’re trying to market your business across multiple platforms you’re, in essence, spreading yourself too thin, and you won’t be able to make a significant impact with your brand and business sharing. While I ABSOLUTELY agree you don’t have to be everywhere online, I do think you can balance a multi-platform brand building campaign without brain drain and fatigue. Multi-Platform Marketing Needn’t Be Multi-Headache Marketing! A failure to plan is a plan to fail. We’ve all heard that one, right? While I’m not generally a fan of cliches or blanket statements, this is a truth I stand firmly behind. A plan doesn’t have to be iron-clad, nor does it have to take hours to complete. A plan can be as simple as necessary in order to remain effective. I’ll be sharing how I plan my various platform campaigns and strategies in future reads. A brand stretched too far is rarely able to showcase its expertise. You cannot possibly manage the day-to-day running of your business, keep your clients happy AND maintain a strong and consistent presence on EVERY SINGLE social media platform. It’s just not possible. That being said, you can and probably should maintain a presence on more than one social media platform. Because even though you’ve dialed in your target audience and your prime prospect, they’re human beings, with nuance, ever changing interests and they’re often restless. Yes, you’ve done your research and realized that a significant and sizable number of your prime audience spend A LOT of time on Instagram. But just like you can’t spend your entire day on Instagram, neither can they. And let’s be honest, most of us have target audiences, plural. Your target audiences have their own target audiences, and that means considering that they spend some of their social media time on platforms that might not be your number one. 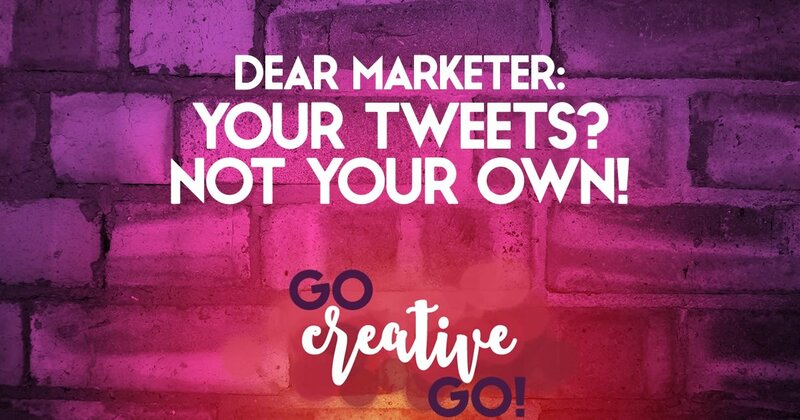 And this is why successful multi-platform marketers have plans that include scheduling. You can and should schedule the sharing of your own content and the content you’ve curated with your audience and top prospects in mind. And when I say you can schedule your own content, I don’t just mean your published articles. This includes graphics and images, as well as any ideas that come to your mind. I actually schedule what might appear to be my random musings. Why schedule them? They’re still my musings, even if I schedule them. Unless the musing or bit of snark is especially time sensitive, there’s no need for me to post it in real time. What you absolutely CANNOT schedule, though, is interaction and the conversation you hope to cultivate with your carefully crafted and curated shares. Your real time brand marketing focuses on these conversations, when you reply and advance your scheduled thoughts. Scheduling those shares opens up the time for you to interact and engage in conversations in real time, on more than one channel! Your Brand Can’t Bang In A Vacuum! If you narrow your field and focus too much you force your brand into a vacuum of sorts. This is not to say that you should set up social media accounts for multi-channel brand marketing in a willy-nilly fashion. That’s not smart or savvy. Balance, Intent & Purpose Make Multi-Platform Brand Marketing Possible & Powerful! I’ve used those three words a gazillion times and I expect they’ll be parceled out in future blog posts at least a squijillion times more! 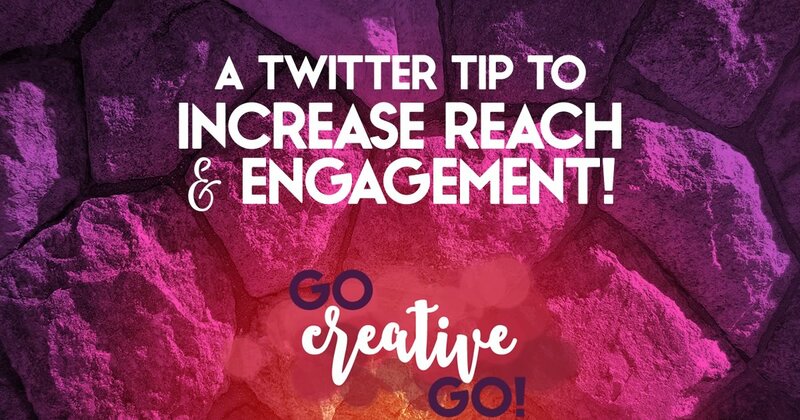 You must balance frequency of posts so that you don’t feel overwhelmed and stretched thin. The articles, images and ideas you choose to share must be chosen with the proper intent. Will they provide value or entertainment to your prospects, peers and clients? There must be a purpose to every single ding-danged item you share, no matter the platform. Sharing simply for the sake of sharing, in an attempt to keep a feed full, provides no value to your brand or your audience. 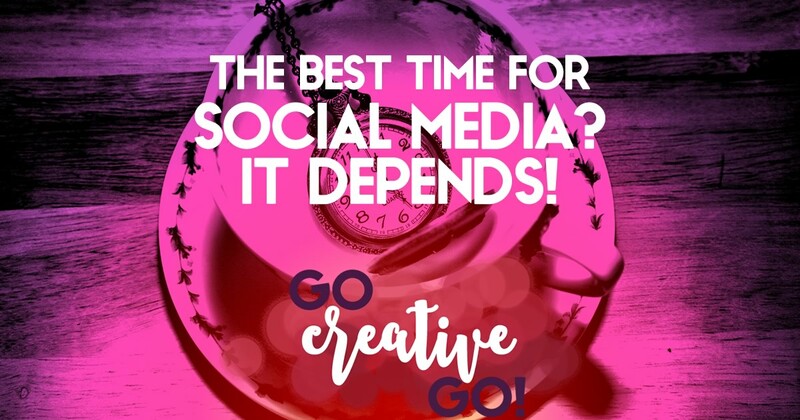 A smart combination of the three is imperative to keeping the interest in your brand alive, no matter your chosen social media marketing platform. Can a brand effective balance presence across multiple social media marketing platforms? If so, how best to do so? If not, why not? I’m looking forward to some great discussion in the comments! Ready to read up and take your brand to bang-a-langin’ levels? Check out the latest branding news and tips we’re sharing on Pinterest! 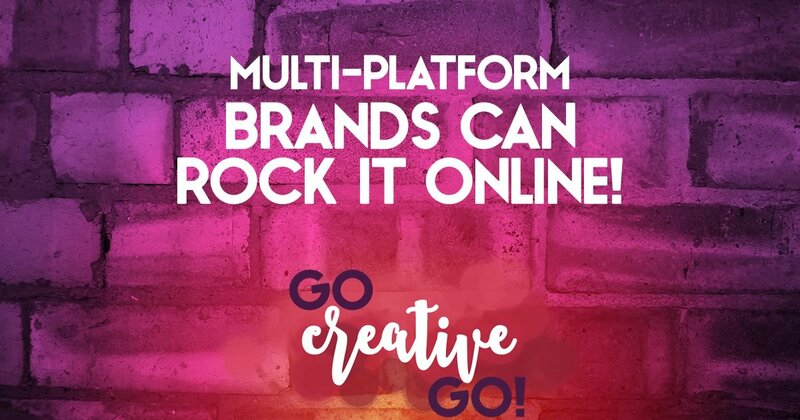 Follow Go Creative Go’s board Better Brands: Unlocked on Pinterest. http://www.gocreativego.com/wp-content/uploads/2015/11/GCG-pinnable-multi-platform.jpg 1080 735 Mallie Hart http://www.gocreativego.com/wp-content/uploads/2016/07/GCG-sitelogo-new.png Mallie Hart2015-11-16 08:32:362016-09-20 13:14:44Multi-Platform Brand Marketing CAN Maintain Focus And Energy!